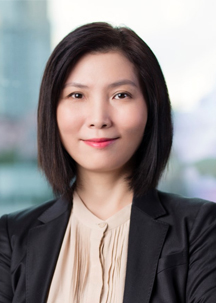 Maggie Gu (Juanhong) joined Junshi TopAlliance Biosciences in January of 2018 as the Vice President-Clinical Research and Operations. She has over 20 years of experience in Medicine development, medical affairs and Clinical Research operations. Prior to joining Junshi Bioscience, Maggie served as Senior Director-Clinical Development in Clinical Operations at AstraZeneca China since 2012. Before AZ, she was Head of Clinical Operations and Therapeutic Area Medical Science Director at GlaxoSmithKline China R&D from 2005. She held various positions such as Medical affairs manager, Clinical Research Project Manager and Clinical Research Associate in Fujisawa Pharmaceutical China, MSD China and Daiichi Pharmaceutical China since 1997. Throughout her career, Maggie has taken leadershiop role in dozens of global and China clnical development projects and clinical trials, making significant contributions to the successful development of several new medicines for China such as oxitinib and the first domestic PD-1 antibody named Toripalimab injection. Maggie owned her Pediatric medicine degree from Shanghai Medical University (Fudan University).